In this episode of The Amazing Seller Podcast you’ll hear how I choose new products to sell and the filters I use for almost guaranteed success. The Filters To See If The Product Is Selling and If You Can WIN! I’ve also interviewed Greg Mercer, the creator of JS and he shares some really cool techniques for how he finds products. If you want to listen to that episode…click here! If you have any questions…leave a comment below or click the big button on the right (My Big Head) and ask it there. Hey Scott! I have been listening to your podcasts for a while now and I would like to say that they are a great help! Just a quick question about the 999 strategy. for some products when you put in the quantity 999 it says that this product has a per customer limit of 2 products only. what do we do then? Hey Mansoor, if the 999 trick doesn’t work on a specific product (it won’t always) simply do it on the products on the page, you’ll know a “close enough” number of sales based on where the BSR of the product that it didn’t work on falls compared to the other’s on the page. Hey Scott, I do not yet have junglescout. Is there any way to track the units sold per day and daily revenue without using JS? Hey Gabe, you can always use the 999 trick. Add 999 of the item to your cart. If they have less than that amazon will tell you how many they have. Come back the next day at the same time and subtract the difference! This is incredible information to share with us. Thank you!! i want to ask you for choosing a product to sell on amazon we need to find product with low bsr, but how many sellers with low bsr it’s good? While researching for products on Amazon, I noticed something not mentioned in the podcast. As per description, some products are not eligible for international shipping, so is it the sellers prerogative or it is product specific, since I will be selling from outside the US. Hey Uzair, you don’t have to allow your product to be shipped internationally, it’s up to you. Question on “tracking the product” how exactly would I track the product for 1 week, I have a product already which I have samples coming in this week. I am doing OPP but came across your podcasts and they are so useful. Hey Brooke, the easy way is just to look at the product inventory level and bsr at the same time every day. With jungle scout, i can now view the historical BSR and inventory do i still need to track it everyday? Or just track it and review after 7 days? Hey GQ it’s still worth taking a look at daily, it only takes a few seconds. 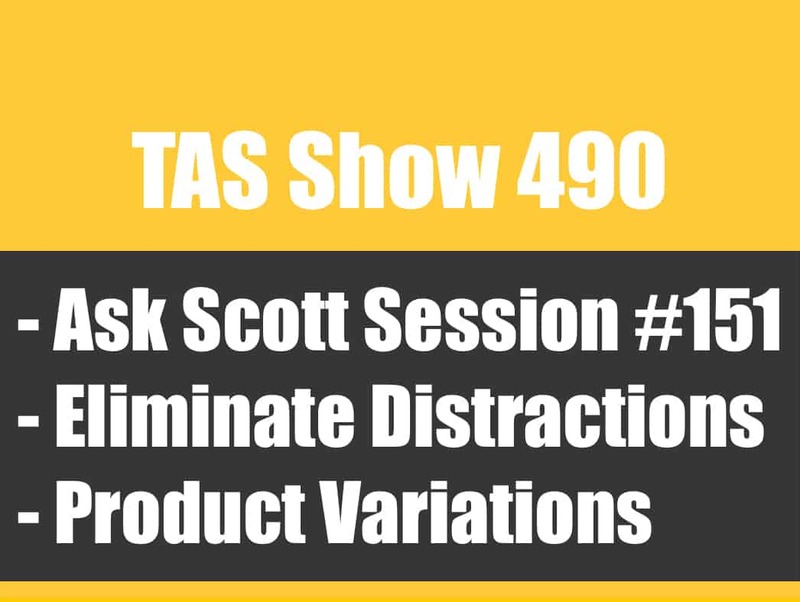 You mention in this podcast about good BSR numbers when choosing a product. This podcast is 2 years old, so should we be using different BSR numbers now, as compared to 2017? Hey Michael, you may want to listen to some of the newer episodes on product research since the critera including bsr have shifted slightly. at first thank you for the helpful content you’re putting out here. You said that it’s better to concentrate on one category to build up a brand. Is it possible to create a kind of “sub” Amazon seller accounts for each category/brand, to carry many brands at the same time? Hey Damjan, there’s no reason to create a sub-account, you can house as many brands as you want under one account. If you want to have a different account to have a different brand, you can do that but it’s a separate account. I want to sell coffee on Amazon FBA, what should I do? Hey Andrew, you would have to list the coffee like any other product! Hey David, I would generally suggest people go to the “start here” section and listen to those. From there, feel free to jump around, use the search feature on the site or go in whatever order you choose! Finally, someone that actually provides this information without trying to sell something off of the back of a load blurb. Thank you Scott, this is fantastic. One question, what do you do if the product BSR isnt showing under the top category. A lot of what I look at doesnt rank in the main category only in the sub categories? 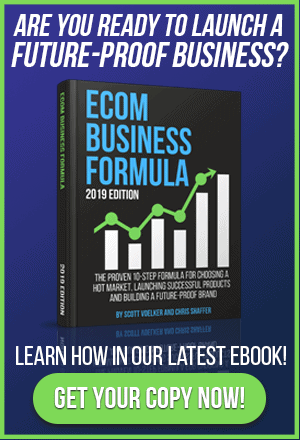 Hey James, you can always try using the 999 trick (you add 999 to the cart and if they have less than that in stock, Amazon will tell you how many they have….repeat daily and do the math) if you can’t find the bsr to benchmark off of. There are some categories, like electronics that don’t show the BSR. Hey Scott, I’m really enjoying listening to your podcasts, appreciate that! I was wondering if anything has changed, to this date, in product-choosing strategy since you’ve done this podcast? I’m just curious as to what level of customization necessary for a product to be profitable. I don’t see any added value in slapping a new brand name on a product you find 50 times on amazon, so there must be a level of value or perceived value of the new brand. At the same time I don’t think it’s necessary to be reinventing the wheel every time you want to introduce a new product. Can you speak to how original a product must be to see the results you want? Hey Kevin, that’s going to vary from product to product, Some products will be profitable right off the shelf and others will need to be changed to work. Your best bet is to see what people like and don’t like about what’s already out there, the more that people dislike the more you should change to address it, make sense? I am so glad I found your podcast from a blog I was reading! The information is amazing plus it’s not long and repetitive. (Short attention spam here). Anyway I am looking to purchase the jungle scout but when I clicked on the link I see the chrome extension and also the Web app. So I would need to purchase the Web app and then add the chrome extension is that correct? Or can I just do the chrome extension without the Web app? Hey Helga, I would start with the chrome extension and then as you grow, you can start utilizing more and more of the web app. Scott, have you tried Unicorn Smasher? Hey Phillip, I’m a fan of Junglescout, it tends to be much more accurate. First of all I would like to say that this was a great short and informative podcast. Regarding electronics products, do you mean by any product that is working by batteries or power outlet? for example what about automatic soap dispenser? hi scott thank you for your sharing this is very impression, keep going like that!! IT’s Nadia from Paris /France! I relistened to this podcast again. Thank you Scott. I have had trouble picking out a product and the timing never seems right. But now I’ve armed myself up with Amasuite thanks to your recommendation so I am hoping the filters will help my source something faster. Would you suggest going for more obscure strategies now that Amazon is getting busier and everything is essentially following your guidance? Love the podcast and thank you again. Hey Sampson, this strategy is still this best bet, most people (even people in TAS) Apply their own spin to it, so “saturation” isn’t something I’d worry too much about. I am struggling with the product searching phase. I have a list of 50 products and I can’t cut them down. I did google trends on all of them. But it is hard to track all of them. How can I cut them down? Hey Lynn, if you have 50 winners great, but chances are some of them are lower performing than others. Start by eliminating those. Hey Idan, it’s a paid extension. You can find a link to it on the resources page! Thank you so much Scott these podcasts are absolutely amazing with so much insight.. got we all pumped up to do my own thing.. really appreciate your efforts..
got me* all pumped up ..
I’m checking a product in Amazon, let’s say a glue. The first one appears with a BSR of 300 in “arts & craft”, the second appears with BSR of 7.000 in “Office”, the third goes similar to the first one and they go on like that. What would be the criteria when a product appears listed in two categories and in one is not going great or is a really big category like “Office” or “Home” but in other category its BSR is fairly well? Hey Antonio, that’s why it’s important to look at the SALES volume and not just the bsr number. The actual sales volume is what will tell you if the product is worth pursing or not. Thanks Scott. My questions is that within the SAME product category, there is a very wide range of BSRs for essentially the same product being sold by different sellers. So how do you really determine that product X has this particular BSR? Just recently stumbled upon your podcast and want to get started, but the main issue stopping me is what if my product doesn’t sell and I wasted all this money buying it? If you cover this topic, please let me know! Hey Kazu, it’s very rare to have an out and out loss, that’s why learning how to find a market that sells is so important, keep an eye out for episode 56 with Greg Mercer, we cover picking a market in pretty great detail! If your product doesn’t sell, you can always sell it at a clearence or break even price! I just came across your site and you have some great resources. I have a question though, for some products the BSR is only given for sub-categories but not the top level category. Is there a way to find the BSR for the top level category if it’s not listed in the Product Information section? Thanks! Hey Jonny, there are a few categories where that’s the case, if you can’t find numbers for the top level category you’ll need to use the 999 method. I stumbled across your podcast last week and now can’t stop listening to it (it’s a daily ritual whilst washing dishes). As I’ve only listened to the first 4, and these are now 18 months old, do the numbers still apply, i.e. BSR of 500 for no.1 product or has competition increased and maybe now it’s BSR of 750 for similar results? Do you find as more and more people head to FBA that the market is getting tougher? Thanks so much for your time and effort making these, they are priceless and I hope you can get me as a successful FBA entrepreneur on here in the future. Just as a side note, I’ve been watching some Richdad shows recently and the advice is ever so similar to yours but not as sharp or actionable and with a hefty price tag so thanks again for distributing so freely. Hey Chris, since the focus is really sales volume not the bsr itself the numbers havne’t shifted a ton. You may want to give a listen to episode 161, where Greg Mercer and I talk about the criteria we are currently using. Great thanks so much for the information. I have another question too actually. When you talk about a “keyword” is it actually based on one word or does it include combinations of words and phrases? Jungle scout is absolutely a must during the research phase as you mentioned. I already have been doing research of the product I want to sell and the brand that I could potentially build. However, as a beginner I am having a bit of a tough time calculating/keeping in mind all the amazon fees, manufacturing fees, shipping, etc to see if i can actually make a profit. Any recommendations to make the calculations more clear when your starting out? Hey Alejandra, JS pro has most of those fees built in and Amazon has a fee calculator inside of seller central that you can use any time you want! Hey Scott, thanks for all the help. I just have another question about setting up an account on seller central. How do I ensure that I will be selling on amazon.com instead of amazon.ca (because I live in Canada). I want my product to be available globally and want to sell in the amazon.com market, not on amazon.ca. How do I do this? 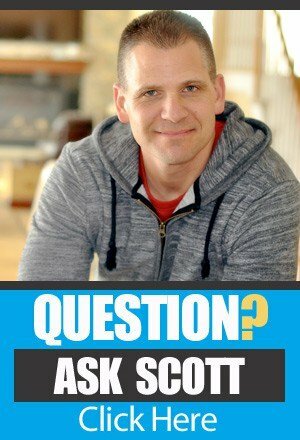 Hey Scott, I just had a question about setting up an account for selling on Amazon. If I am planning to get a product sourced, have it stored at an FBA centre and then start selling, should I set up an account as a professional (the $39.99/month plan) or the other plan? Hey Mustafa, you’re going to want to have the pro plan! Can I start with the individual plan until the product arrives to Amazon warehouses and then switch to the professional plan? (To avoid the 40$ cost for the first months). Hey Nan you would want to switch before you sent in inventory, so that you could start running PPC asap and you don’t inccur the extra $1 fee on your giveaway units, etc. Thanks for the really great content. Its really motivational to take action and finally find my ‘side hustle’ to move away from the day to day grind. I just wanted to ask about how much you normally try to make per transaction. I have been looking at a number of products but I am concerned I am aiming a little low per item after amazon fees etc. Do you tend to have a guideline profit to make per item after costs, fees, shipping etc to make a product viable? Thanks again for your great content. Although most of the content here is for amazon USA (im in the UK) I find it hugely useful. Hey Mark, I like to shoot for $10 profit! I think it will be great if you could also put a video on how you do product research. I find the amazon interface a bit difficult when it comes to studying competition. Hi Scott, first I want to thank you for creating such an awesome podcast about selling on Amazon, your podcast is very informative and clear and easy to follow. I came across this site by accident two weeks ago when I all of a sudden thought about private labelling. I am still trying to find out if I am too late into the game of private labelling, and if there is any market niche I can jump into. Therefore I have not bought any of the product research tool you mentioned, like the Jungle Scout, and I am using the manual research method. My question is (2 questions actually), after picking some products from the Amazon top BSR page, then I do a search on Amazon using the related keywords, there are about 90 similar products, and the average reviews of the top 5 products are about 120. Is it considered a competitive market? Would you say the market is competitive just because there are many similar products, regardless of what the avg. reviews look like? I kind of feel that most of the product I pick from the top BSR page have quite a number of competitors, and I feel that there is not much of a niche I can pick from. Thanks for checking my comment, and I am still catching up to all of your episodes. Hey Chi, you generally want to avoid the top bsr page as a place to look for a product. Give a listen to https://theamazingseller.com/tas-065-what-are-the-best-seller-rank-numbers-for-selling-10-units-per-day-the-10x10x1-strategy/ and you’ll get a few ideas for what you should be looking for! Thanks for replying. I just listened to the episode 65, and if I understand correctly, as long as there are enough depth of market (top 5 listings totaling 3000+ sales) and no one really dominates, I should not worry too much how many listings of the similar products there are (for that search phrase)? I was originally under the wrong impression from episode 56 when Greg Mercer did his walk through that the top BSR page is the place to start. Thanks for clarifying. Hey Scott, I was scrolling through some products looking at their BSR’s trying to figure their monthly revenues using jungle scout sales estimator. I find that there are a lot of products that are really poorly ranked (around rank 10 000). Do you think that these sellers use PPC? I have a colleague who told me that using PPC for him got him to selling 30 a day selling the same product which I am looking into selling. Do you think using PPC will be really effective in boosting sales? Hey Scott I recently lost my job and money is really tight. I’ve about $5000 to start with, I’ll keep looking for a fulltime job and do this on the side. I’m a very hard worker, how long do you think it’d take me to make $6k/month in profits? Hey Sonny, that’s tough since it varies wildly by product and how much you put back into the business. Most sellers can successfully launch a product in about 60-90 days based on what i’m hearing and seeing from the community, the rest will vary based on how fast you start selling! Thanks for the reply, so it could be a good goal to reach after a year of selling on amazon in your opinion? I’ve heard of programs promising people that they’d start making $2k/month after 3 months of training in their program. Also what’s your opinion of the ecommerce empire program run by startup bros? Hey Sonny, it will vary from product to product. I would generally avoid any program that “promises” results, since results will vary wildly based on the process you YOURSELF go through. Does that make sense? I wanted to second the sentiment everyone else is saying on here. One of my friends who is now a successful FBA PL business seller introduced me to this business model, shared your name, and I am now slowly starting to learn and take it one day at time. Your podcasts are simply amazing, and the information and guidance you give to folks is really appreciated. I understand the biggest challenge is finding that product but with everything you’ve shared, I know folks can be successful as long as they…TAKE ACTION. I speak for everyone when I say that WE appreciate everything you are doing. Keep up the great work, boss! Thanks for all the great information! I am new to selling on Amazon. What is the best software for me to start with? Jungle Scout or AmaSuite 4 ? I am also am starting your Private Label Workshop today at 3pm. Looking forward to it. Hey Eric! If you’re trying to pick one, JungleScout would probably be my go to for people just looking to get started! Hey Adam, there are a few categories where the BSR is hidden (camera and photo comes to mind). In that case you’d have to use the 999 trick to track sales. Add 999 of the product to your cart and Amazon will tell you how many of the product is left in stock. Come back the next day and the difference in inventory is the sales for the day! Hey Phat, if you add 999 to the cart. Amazon will tell you how much inventory is actually there (say 500). You would come back tomorrow around the same time and add 999 again. Amazon will tell you there is 490 left, you know that 500-490 is 10, so that listing sold 10 units in a day. Make sense? Hi Scott love the podcasts – I did the 999 trick and there must have been a whole lot of inventory as I put 1000 in my cart with still more inventory left in stock…so either he has a lot of money to spend on his stock or he’s not selling,lol. Interesting. Hey Natalie, your BSR is going to be in the Product Information section, right above the customer reviews! Thank you for these POD Casts Scott, I won’t go into why or how I got started with FBA but I have only been at it for a month but was looking into it for two or three weeks before that. I started by selling books and was shocked how fast they sold (over 60 in three weeks so I found and bought 1000 more and they are flying off the shelf as well. I’m down to 30+ now. This is hard work selling books so I am glad I found you. Many thanks for your response Scott.